Can someone please explain to me why Apple would release new devices with the old tools (Apple Pencil). I upgraded my pro and kinda feel slapped in the face by this but love the size of the mini. 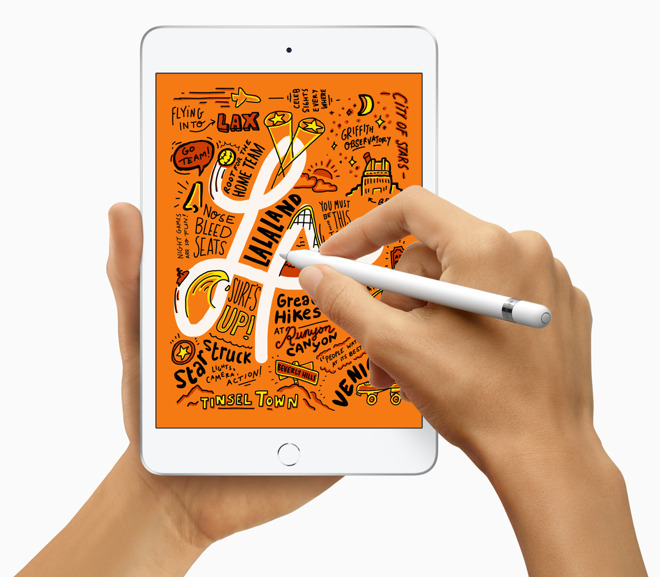 The new Pencil is a much more premium experience for Pro iPads. The 1st Gen Pencil still is industry leading & its cheaper for regular note taking. Yup, and we got it. The Air 2 and mini 5 are both laminated. No event. This was rolled out similarly to how the new MacBook Pro was last summer, and how the Vega refresh in November was debuted as well. No argument on its premium status but it’s a stagnant step as opposed to being progressive. I generally feel like Apple isn’t pushing hard enough for tech advances anymore - I get it but as I admitted, it also feels like a slap in the face to me having purchased all new equipment. So many people told us (and were so sure of themselves in the process) that the Mini was dead, to get over it, there was no market for it etc. They were wrong just like they were wrong on so many other things. I hope being so categorically wrong on so many issues now, will make those people at least present their comments as simple opinions and not as fact. I will get this when my Mini 2 starts to wane (no signs of that at the moment, though) and know how much battery life we can get out of it. My Mini 2 still goes for ages without needing a charge. Price is fine for the 64GB option (449€) but I would have reservations about paying 619€ for the 256GB option as it looks so dated. For that price I'd want far less bezels for a 2019 device. Sadly, Apple continues with its upsell antics but I can get by with 64GB. No idea why they didn't include this on the agenda for the March 25th event but it doesn't matter. And it's still $399, now for half the storage as before. Talk about DOA release. Who is this for exactly? The person who wants the cheapest way to get Apple support? Oh wait no that's the larger and better and cheaper 9.7" iPad at $329. So its for the person who wants the smallest and least usable Apple Pencil support? What a joke. Because no one is going to buy this as just an iPad, because its a terrible buy in that regard. Sell your Pro then. Then get the cheaper ones. how is the 9.7 inch ipad better? The new mini has a better processor then the current 9.7 ipad and better front camera and comes with 64 gig storage when the base model 9.7 ipad is 32 gig. Non pro devices get entry level accessories and pro devices get pro accessories. Apple has a 14 day return policy so you could swap them out. As much as I love the iPad Mini, this release I a bit disappointing. It simply doesn't justify the $399 starting price imo. What about the Pencil? I'm not sure what purpose it serves to support 2 different pencils, originally hoped gen 2 was simply a replacement to gen 1 with a forced upgrade but now its more Apple Pencil and Apple Pencil Pro. Completely unnecessary, all it does is confuse consumers, give the appearance as a money grab and having another SKU that is seemingly unnecessary. It comes standard with 64 GB up to 256. The old one had 16 GB and topped out at 128. I am confused as to what you are referring too. Expect the 9.7” to be discontinued in the near future. Great to see the Mini back! Such a fantastic size. Looking forward to update mine in the next months. This all looks as if Apple updates to A12, as this is required for what is to come next week. So if you have the latest Pro and also would like a mini for portability you can’t share a Pencil across the devices. How ridiculous. Nice. But at $399, count me out. Who is this for exactly? - People who preferred a smaller iPad with size around 8" diagonal, and were not happy with larger sized iPads (> 9.5" diagonal) either Pro or Non-Pro models (someone like Avon B7 when the need arises). Those who patiently waited for Apple to update the iPad mini lineup for 3+ years. There were plenty of them, or so we were told. I do think that the new iPad Mini will be a success. It has the right set of features and priced accordingly (at least the base model, leaving aside the upsell options). You really have crazy use case scenarios.